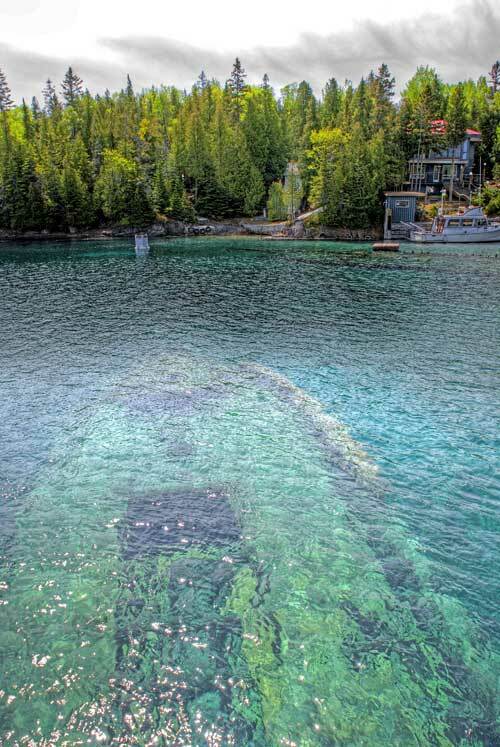 Wreck of the “Sweepstakes” lying in shallow water in Big Tub Harbour. 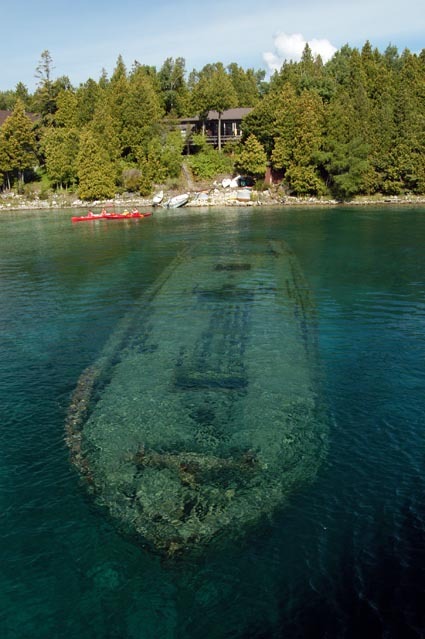 This wreck is only a few feet away from the one in yesterdays image, The City of Grand Rapids. This one is in a bit deeper water, about 30-40′ deep. I was unable to get a good shot of the entire hull, which is clearly visible from the deck of a boat. Clicking on the image above will display a better shot taken last year in the same location by my brother Scott. 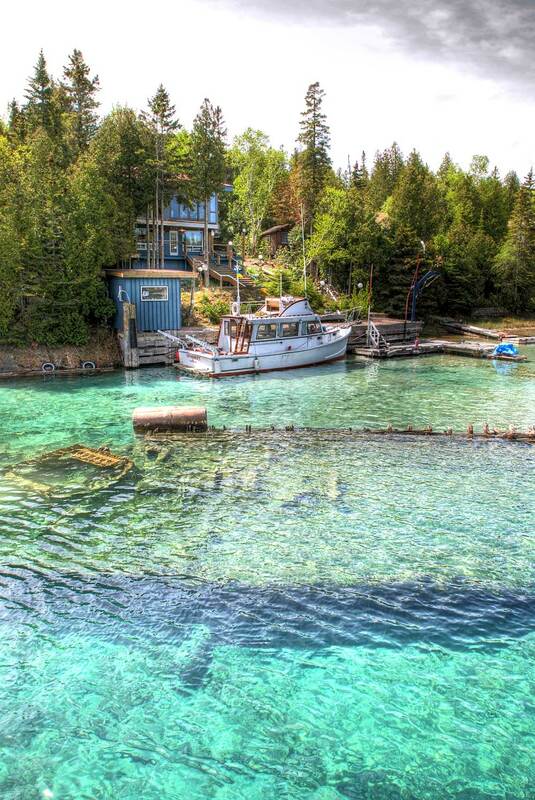 Sunk in the shallows of Big Tub harbour are a couple of shipwrecks. This one, The City of Grand Rapids lies in about 10′ of water and is clearly visible. Yes, the water is really that colour, and crystal clear with visibility to about 70′ deep, which makes for some serious vertigo when walking along the docks of this natural deep water harbour. Fog in the Big Tub. 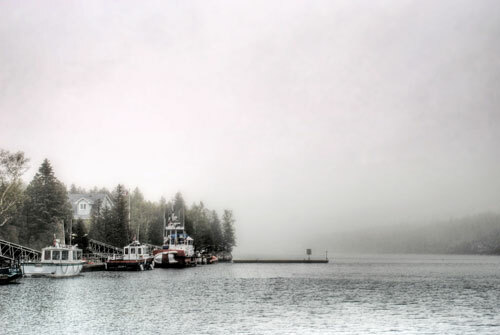 Early morning fog last Sunday in Big Tub Harbour, Tobermory, Ont.� While looking at the image, imagine the sound of some seagulls, a fog horn and other watery things, that is what it was like.